We focus on a select group of solutions to insure we provide the best possible accomplishments in a professional IT environment. The included software of Archive Disk is capable to archive your data for 25 years or longer without migration. Reduce the risk of data loss with Raid-like technology. Secure Archive sets with a Public/private key infrastructure (PKI). Protect Archive sets with AES-256 encryption. Add mandatory or optional Metadata to Archive sets. Gather data directly from your SMB shares on the network. Multiple media options are available based on the amount of data and how regular access to the data required. 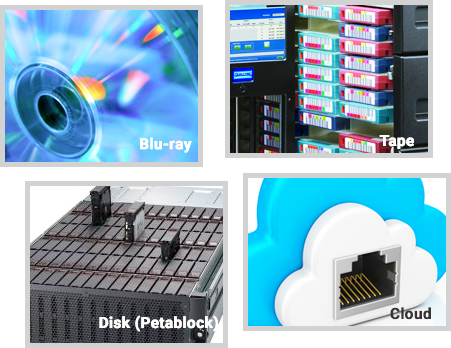 It is possible to archive to Blu-ray, Tape, Disk (Petablock) or Cloud. For almost a decade we create the right storage solutions for our customers. 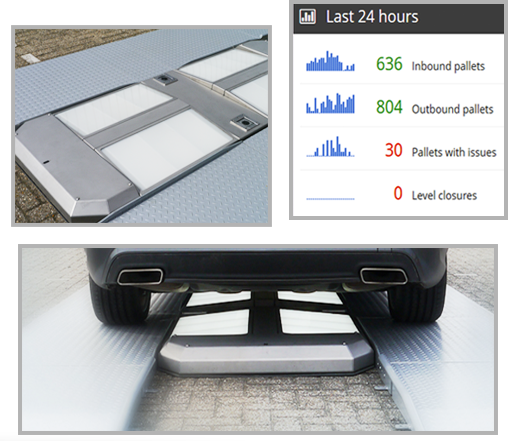 By analysing the environment and needs of our customers we have been succesfull in many storage areas. Out of the development of our own solutions, we gain experience in developing custom software. When developing software, we attach great importance to quality, usability and flexibility. At StorageQS we focus on customer centricity and look beyond the problems of our clients and try to produce a structural solution by collaboration. We stick to the software techniques we master to be able to provide the best solutions. For our projects we use project management method SCRUM, which helps us to stay close to the needs of users and to ensure quality. The realization of the software is carried out in the Microsoft .NET environment. Forensic data copying software, as part of our archiving solution to copy data with long file structures, malicious file names and large amount of unstructured data.